Let me start this blog by saying well done to everyone that had the courage and nerve to put themselves forward in local or national elections for Left Unity, while the results may have not reflected the hard work and dedication you showed, you deserve praise for having the balls to put your head above the parapet. This article however is not going to be kind on Left Unity and its involvement in the elections, for they were an absolute disaster. Some of us within the party argue, albiet unsuccessfully at the folly of rushing into national and in some cases local election politics, when so much had yet to be achieved. I personally argued for a local election focus, as if any network or fight back is going to be waged against this system, it will start at the bottom of communities. Left Unity however first and foremost sought to be a social movement, it sought to ride the wave or if need be create the wave that would turn the tide in the battle for that which communities the length and breadth of the country hold dear. Which is why many of us myself included, were distraught at the direction and turn Left Unity had started to take, it changed course dramatically and begun sailing straight towards the rocky waters of electoral politics without a care in the world for the direction of the political winds. The forces of political nature were therefore harsh and unforgiving as socialists shamed themselves yet again in England in an utter massacre. As we rounded up to take part in our bi-decade self-flegellation that sees us humiliated and shamed. This experiment has been an expensive failure, and a harsh lesson for Left Unity to learn, with members dropping out and abandoning us because of our performance, or in some cases the despair at not seeing the change and breath of fresh air we had hoped the party to be, materalise in any meaningful way. What is done cannot be undone and it is how we seek to get out of the hole that we blindly and willingly dug ourselves into that will define the next five years for us. How long will we keep doing the same old things and expecting fresh and new results? We want to build a successful party, we want to or at least I am fighting to improve communities because I don’t want people to starve, I don’t want people to be forced to live in shame, I don’t want my friends to go cold in the winter. Yet I am dismayed at the complete and utter disconnect that the left keeps showing with the communities of this land, we keep doing failed and destructive methods and then hope or try to define and exclaim our failures as something else, we pass the buck without examining our own responsibility within those failures: That has to stop now. I will tell you why we failed, we are not trusted – the people of the country don’t trust us, that can be for a million reasons, of course the mainstream media barrage against our ideas and figures is a major part but we ourselves have done little to earn their trust. The London activist bubble, and hardened and great comrades up and down the country, many of whom I respect fo their services to the movement have got locked into a paradigm which is no longer beneficial to the left movement, the strategy no longer serves us. This can be seen in our falling power and popularity, and general standing – the trend is not good for the left. 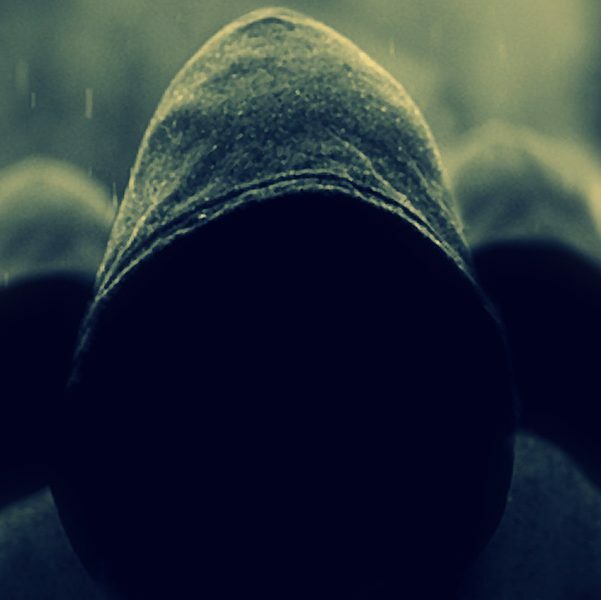 Left Unity a party that is fighting for the many, fighting for the majority yet it is manned by a skeleton crew – why is that? Why are we irrelevant? in an age of such despair, why are we not a beacon of hope? Why are we not cutting through the forces of austerity with our sword of socialism? Why are people up and down the country not singing our praises as we stand shoulder to shoulder with them against the full brunt of this capitalist onslaught? The common thread of community struggle, the glue that holds society together and creates an effective network for people to organise and resist attempts to attack and destroy the things we hold dear, has been eroded and destroyed over successive generations. Now we must work to rebuild these lost links and remember that which is being forgotten and lost. Most importantly we have to earn the peoples trust and we are not going to do that with words, only with actions will the people be emboldened to fight, only through actions will people have the courage to stand against austerity and only in the fires of action will the weapons against this system be forged. Another debate, another protest, another time – these methods do have their place, and must be used, they serve a purpose. We are not however doing what needs to be done around these, we need to get into communities and fight against austerity not with words but deeds! Starving to death? Well people should know that Left Unity will not let you starve to death, it will feed your family – it will keep you alive. Freezing to death? Well people should know that Left Unity will not let you freeze because of a cold heartless government – it will keep you warm. All we are hearing is words, we need to change the direction and outlook we have on what political activity means. We talk the talk, we talk tough – yet ultimately it falls on deaf ears because we are not walking their walk. You can talk about austerity from your heated home, your lovely three bedroom house, but to someone who has hunger in their belly, they want more than inspiring words. There is merit in standing in elections, however we invested 18 or so thousands of pounds in our election effort, in a time when people are starving to death, thousands of people dying because of planned austerity measures, planned poverty – this investment should of gone on people, not polls. We invested so much, for what return? What gain did we get on our investment? Very little. We could of showed solidarity with the people of this country, we could of begun a program to fight austerity in this country, instead we chose the tried and failed route of electoral politics first, and ultimately we are now going to pay the price – I only hope the price is not the most cruellest one to pay, that of our own demise. Elections have their time and place, they serve a purpose – local elections are cost effective ways of campaigning and highlighting an issue within local communities and building links within local communities. Local must come first if we are to have any hope of achieving anything, it has to start at the bottom – we have to start at the bottom,. Even if you go down the electoral strategy route, there was no strategic planning in placing candidates all over the place, diffusing our limited resources and isolating our many skirmishes and battles. If elections were a war, we spread our armies too thin and then paid the ultimate price – defeat. There is hope for the future, there is hope for Left Unity but we have to get our priorities straight, we have to change – the left has to adapt and change to meet the current needs of the people. We need to be backing up our intellect with our actions, one without the other is meaningless. 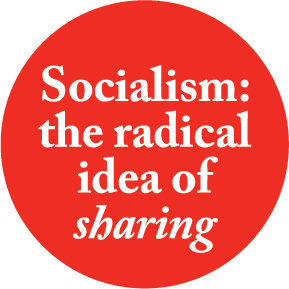 In the end we need to not only say we want change, we need to display what change means, we need to showcase socialism, we need to put socialism into action, as the saying goes “socialism, the radical idea of sharing” – It is time socialism is taken to the streets!